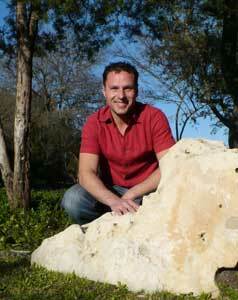 Christopher’s first introduction to Rolfing came as a client. In 2005 Christopher had a major injury to his right elbow that required surgery and the installation of a surgical implant (a metal rod) to allow the elbow to function properly. In an effort to recover after the surgery Christopher tried physical therapy, rest, massage, chiropractic, acupuncture, yoga, praying, etc. But after years of trying to recover, his elbow was still in constant pain and was too weak to be used for most tasks. His right arm had become all but useless to him until he tried Rolfing, at the recommendation of a friend, as a last hope. After a series of Rolfing sessions Christopher regained full function of his arm as well as eliminated multiple nagging sports injuries that had been problematic for years. His interest in the body began early in his life as a result of being very active growing up and wanting to get the most out his body and heal from injuries faster. After experiencing the power of Rolfing as a client and seeing firsthand what structural integration can do, Christopher found the perfect career. He decided to help other people get more out of their bodies and enrolled at The Rolf Institute® in 2009. Christopher is now a Certified Rolfer with an office in Austin, Texas. Christopher’s passion for health and human development has led him to collaborate with some of the finest Rolfers, Acupuncturists, Chiropractors, Physical Therapists, and Body-Centered Psychotherapists in the community. When he is not in his Rolfing office, Christopher can be found on the soccer field, running in the park, at the gym doing strength training, hiking & backpacking, reading, and enjoying time with his wife. You can contact Christopher via phone at 512.934.3757 or via email at austinrolfer@gmail.com.